She appeared infrequently for scores of years, but never seemed to age, and nobody knew from where she came, although they watched her from the summit of Tregarthen Hill. Warey of stories of Mermaids the captain weighed anchor and headed for deeper water fearing the mermaid would bring the ship bad luck. He did, however, return later to tell the townsfolk of the fate of Mathew. It was to commemorate the strange events and as a warning to other young men of the dangers of merry maids that the mermaid was carved into the church pugh. According to a slightly different version of the tale, Morveren was drawn to the church by Mathew’s beautiful voice and would dress as a human and listen at the back of the church. Every night at evensong the mermaid would come to hear him until one night as Mathew sang a particularly lovely verse Morveren let out a tiny sigh. Although it was as quiet as a whisper Mathew stopped and turned – Morveren’s eyes were shining, and the net had slipped from her head and her hair was wet and gleaming – It was love at first sight. With that Mathew picked up Morveren and ran into the sea never to be seen by the folk of Zennor again. However that doesn’t mean they never heard him again. 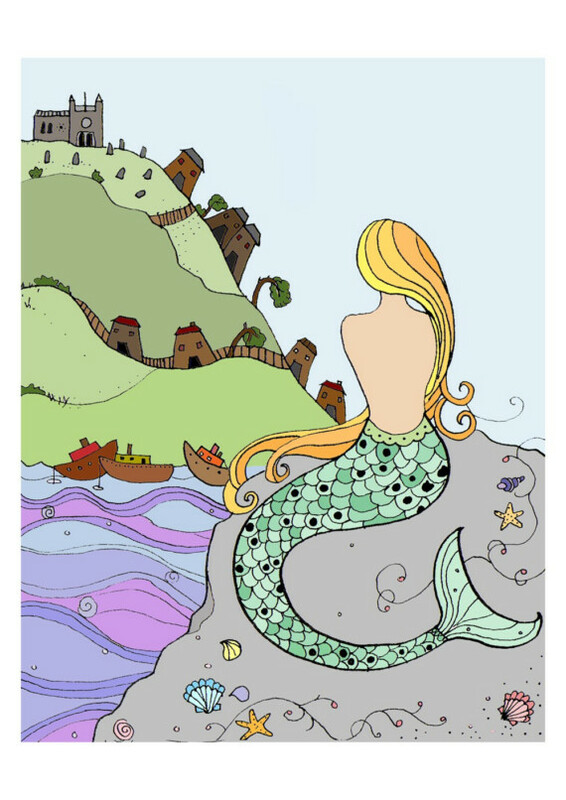 The “mermaid chair” at St. Senara’s Church can be seen to this day, and together with the accompanying legend, is one of the popular attractions mentioned in tourist guides to Cornwall. In the church carved on the end of one of the wooden benches is a figure of a mermaid. 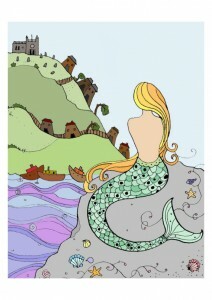 Depicted with long flowing hair, holding a mirror in one hand and a comb in the other is the Mermaid of Zennor.